Happy Veterans Day. I sincerely want to thank all of those who have served our country. Have you been making your plans for next summer? I thought today would be an appropriate moment to mention beautiful Kings Canyon National Park, which is found next door to Sequoia National Park. 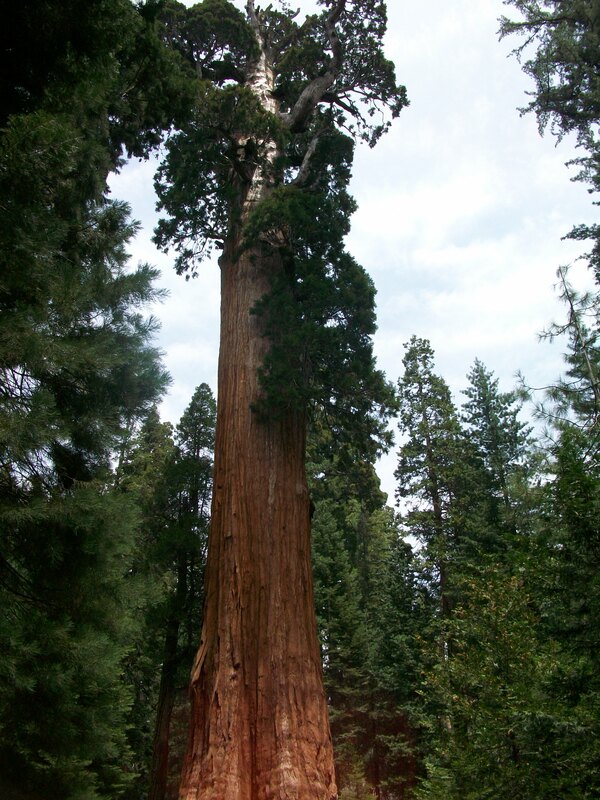 Kings Canyon is home to the General Grant Tree. In 1926 it was declared by Calvin Coolidge to be our National Christmas Tree, and in 1956 President Eisenhower dedicated it as a memorial for all those who died in war. The breathtaking General Grant is our nations only living shrine and the 3rd largest tree in the world. Nestled among the other Giant Sequoia found in this park, General Grant Grove is a lovely place for a walk and a little contemplation on some of nature’s most extravagant gifts. Today you are not at work, and I am sorry for that. I wish I could do something to help you, but unfortunately the only thing I can do is hope that the government shutdown will be short lived, that the parks will re-open quickly, and that you will be back on payroll soon. In the meantime, I would like to share a note of thanks. I’m ashamed to say that I’ve not thanked you before. For the past five years you have helped us, inspired us, protected us, guided us, taught us, made us laugh, and become a part of our own unique family memories at America’s parks. You’ve ensured the safety of my family by monitoring the road, campground, and weather conditions. You’ve watched animal movement, and taught us how to keep both ourselves and the animals safe. You’ve maintained trail signs, bulletin boards, safety notices, and relayed vital up-to-the minute visitor information. 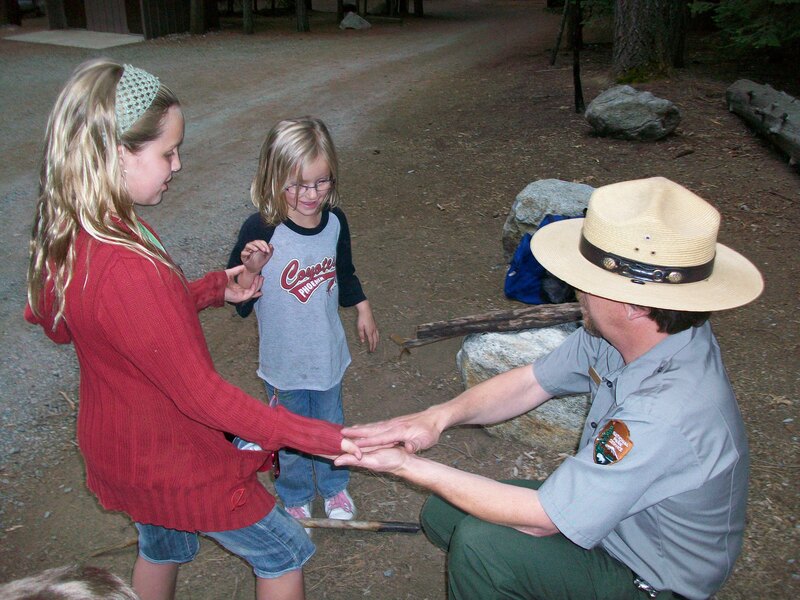 In 2009, after receiving a worried phone call from my husband, a Park Ranger in Sequoia National Park even hunted down my kids and I just to make sure we were ok. A few days later we were in Yosemite National Park and another Park Ranger took the time to stop by our campsite and invite us to a twilight ranger walk. He made the effort to get to know my kids, taught them a game and made them laugh, and during our walk together he even inspired a five year old to see the great mystery and beauty of a park meadow. Thank you for making our first experience at the parks a great one. You have guided us through so many beautiful places and taught us about why they are preserved. We have followed you through underground caves, mountain passes, over rivers, and on forest trails. You have taught us not only the names and locations of the plants and animals that live within the boundaries of the parks, but also about the unique roles they play in the environment. You have humored my kids as they always, always, push through to the front of a group and nag you with dozens of questions and tell you their stories as we hike along together. You’ve listened to them, just as much as you’ve talked to them. Thank you. You’ve taught my children that learning is fun! 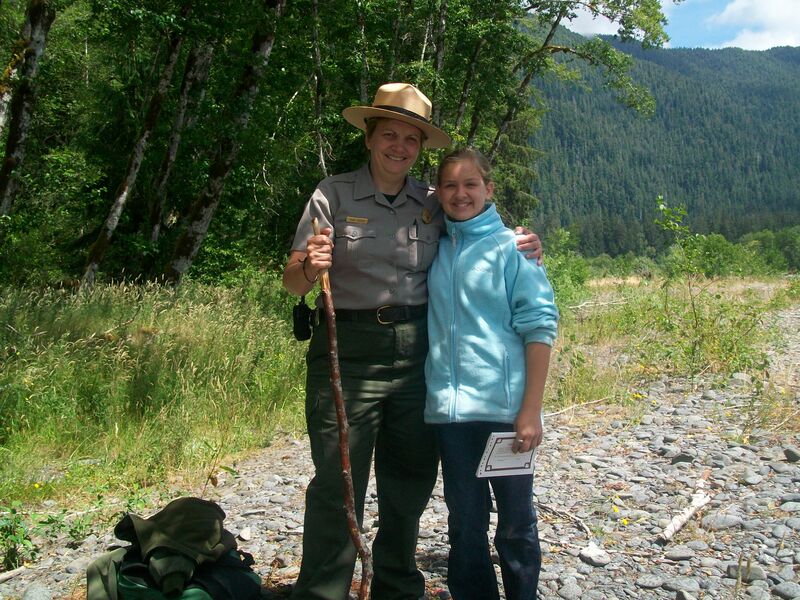 Not only do you incorporate funny voices and crazy animal imitations into your fireside chats, but you also make our trips memorable with your incredible park ranger stories. 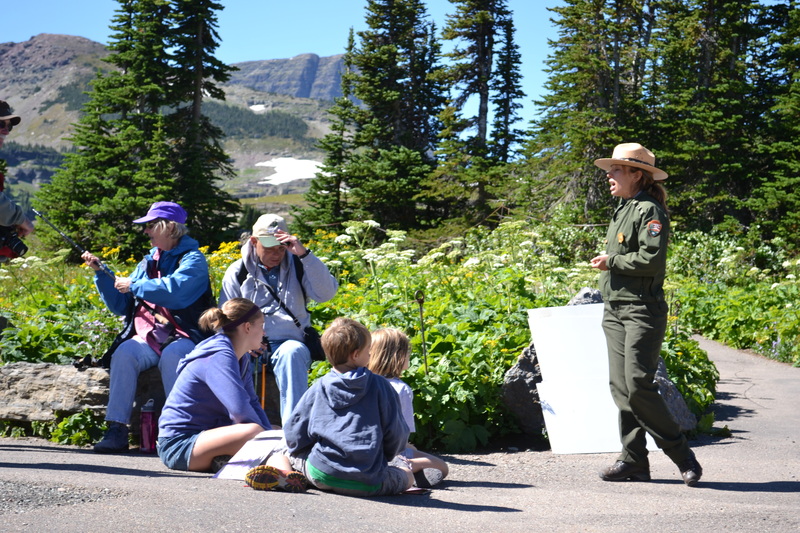 You’ve included life long learning into your career simply because you love the outdoors and you love our parks, and we get to witness your passion for the wild places on every trip. You’ve served the people of our country every single day by making our lives a little bit better, and a little bit brighter. Thank you for being such a phenomenal example to all of us. 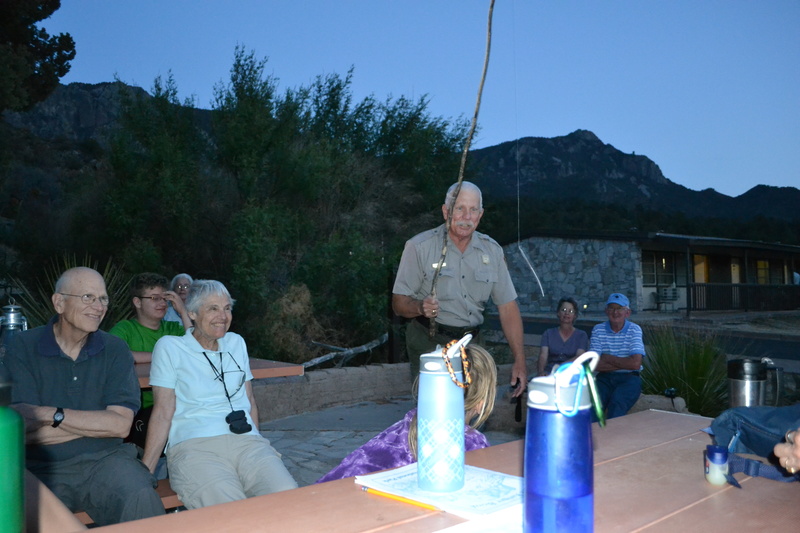 You have shared your hands-on knowledge with us as we’ve listened to your ranger talks all over the country. You have let us touch, see, smell, and hear the whisperings of our country’s great wildernesses. You’ve taught us about the indicator species of different forests, about endangered species protected within park boundaries, and about our changing climate and disappearing glaciers. You’ve told us about what it’s like to work at the parks and the usually funny but always rich stories of how the parks were established. You are always patient and happy to relay the information you have learned through your training and your travels. You’ve taught us that learning takes a lifetime. Thank you for your priceless service. You took every single Junior Ranger badge seriously. I know this could not have been easy, with three excited kids in front of you after you’d probably already seen a dozen of them that day alone, repeating the same information over and over and over… but you made them feel important, and you took the time to ensure that they not only learned something, but that they would remember what they learned. You greeted them with patience and laughter. 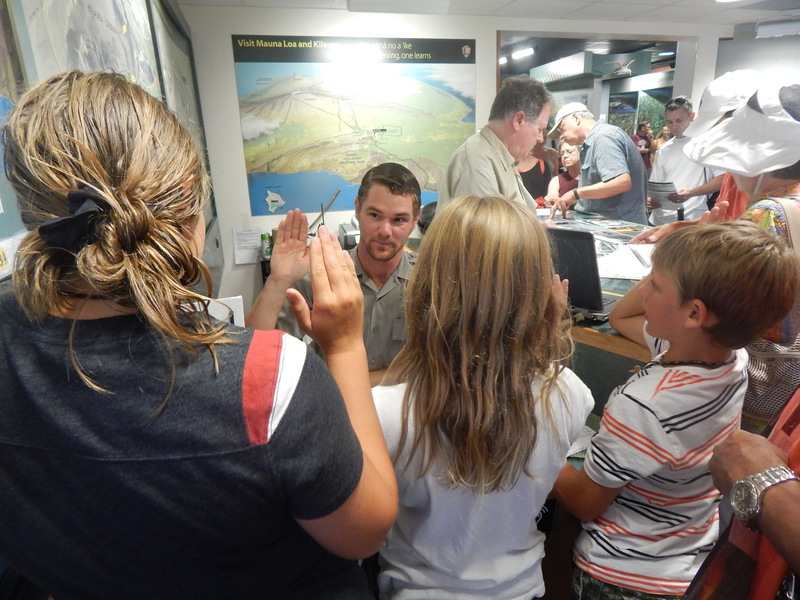 I remember a crowded visitor center at Hawaii Volcanoes, and there were pushy adults trying to vie for your attention over the heads of the kids. You made the adults wait in line while you taught something to my children. It made them feel connected to you, made them feel connected to their park, and maybe it even gave them a glimpse of how important they are to the future of our nation’s park service. Thank you. Thank you for always being there when we come to visit. Thank you for your time. Thank you for your inspiration, information, protection, and passion. Thank you for sharing the Nation’s Greatest Treasures with us. Thank you for everything. We hope to see you again very soon!